/ How to Sharpen Wood Planer Blades? Keeping your wood planer blades sharp is important to the success of your project. Planer blades have two parts: the bevel and the back. The bevel is the short part at the cutting edge, and the back is the flat section of the planer blade. The aim of sharpening your planer blades it to get these two parts as smooth and flat as possible so they can intersect. The flatter and smoother they are, the sharper your planer blade will be. Let’s take a look at how to sharpen wood planer blades. Although they are old, the blades can still cut you. Do not brush your body or hands up against them. When removing material from the back of the knives, you will find the blades get narrower. Don’t remove so much that you find the blade bolts or clamps the wood, or that the cutter head strikes the wood. Check that you have properly secured the blades. Carefully read the instructions that are provided with the tool to ensure that you have clamped the blades in place correctly. Double check once you have set everything up. 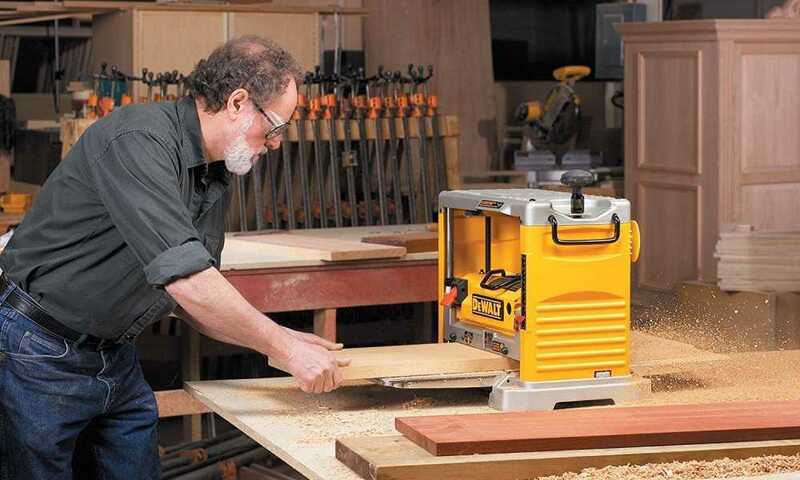 Sharpening your wood planer blades involves a few simple steps. After placing the honing guide on a smooth and flat surface, put your planer blade into the honing guide to check that the guide will hold the blade securely in a bevel-side down placement. Then, make adjustments until the full bevel connects with the surface. The honing guide is made to hold the planer blade at a consistent angle throughout the duration of the sharpening process. The lower you set the angle, the sharper your planer blade will be; however, the edge will be less durable. 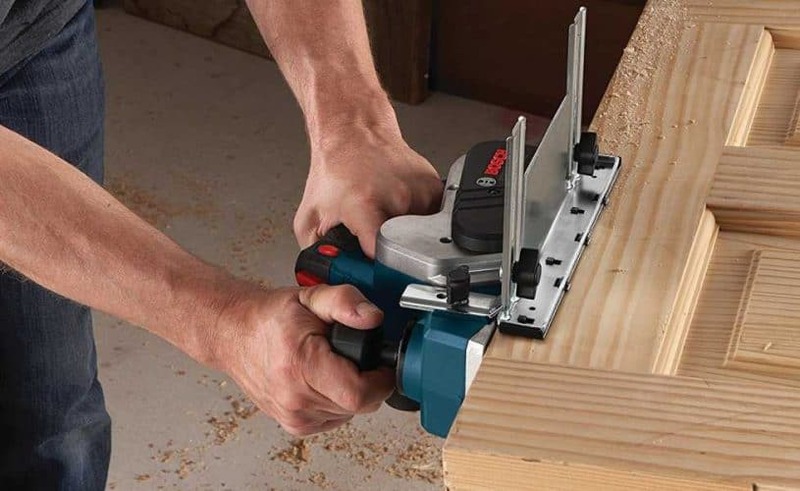 A 30 degree angle is ideal for getting a sharp yet durable planer blade. Setting the honing guide to 30 degrees requires you to have 38 mm of the planer blade sticking out of the guide. A setup jig for your honing guide can be set up by using two pieces of scrap wood with square edges. Place the two pieces of wood 38 mm apart and secure them at the distance using screws and glue. By using a setup jig with your honing guide, you can guarantee that you are setting the planer blade to the same distance every time. Check that the planer blade is held tightly by the setup jig. If it is too lose, use a screwdriver to make the adjustment knob tighter. Oil your whetstone using tapping oil. This type of oil has been specially designed to clean metal. If there are nicks in the blade, they need to be removed using the coarse side of the whetstone using a pushing motion. Once the nicks are removed, move the planer blade across your whetstone while applying pressure where the blade is stationary. If the blade moves, the edge of your planer blade will be curved. Start by flattening and polishing the back of the planer blade. You need to begin with coarse grit, then move on to medium and then fine grits. You only need to do this to the 1-inch section closest to the edge, but you still need to ensure that you are applying enough downward pressure to the planer blade so it stays completely flat. The coarse grit step will take the longest, with the medium and fine grit steps being relatively quick. Once you have done the three grit steps, the back of the planer blade should look like a mirror. Take your honing guide and planer blade and use them to rub the bevel on the coarsest grit. As with the back, ensure that the whole face of the bevel is covered. Use your magnifying glass to track your progress. Once you are done with the coarse grit, move on to the medium grit. Last, repeat the above process using the honing guide and the fine grit. Test the planer blade on a piece of wood. If you have sharpened your planer blade enough, you will be able to shave thin pieces of wood off that have a smooth surface. 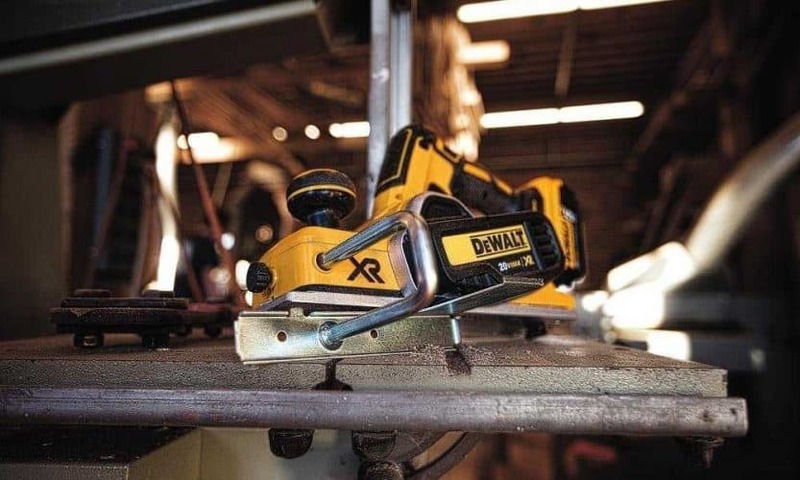 Sharpening your wood planer blades is an important process in the maintenance process. If you do not do it correctly, you will not be able to keep the quality of your projects at the level they should be at.